For cycling at slower pace with plenty of time for relaxing stops and experiences during the tour. 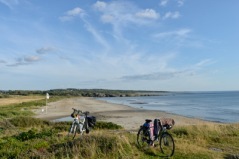 We have done our best to set you up for a memorable cycling holiday in the Skåne region in South West Sweden. - Charming cafés and restaurants, fishing villages, picturesque harbours, handicraft, farm shops, castles, vineyards and much more - they are all lined up along the route! See "additional services" to the right. 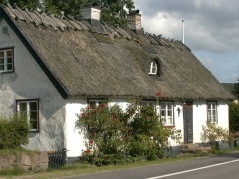 With the view of Denmark in the west you start your cycling north, close, close to the water, Öresund, passing charming, prosperous coastal villages and the town Höganäs, famous for its salt-glazed ceramics. Accommodation in a hotel with wonderful sea view in one of the small villages. Free access to the spa area. You follow the route through the bay of Skälderviken passing the 500-year-old town, Ängelholm. Accommodation in a newly renovated and cosy hostel just 500 m away from the sea and from beautiful beaches. genuin and popular summer resorts since long. The short day trip allows you to enjoy the surroundings, maybe take a swim in the ocean or embark the small boat for a short trip to the island, Hallands Väderö, a nature reserve with unique natural and cultural values. Today you cross over the Bjäre peninsula which takes you to Båstad, the summer village wellknown for its international tennis tournaments. 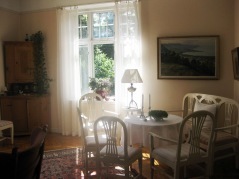 Accommodation in a nice pension in Båstad. 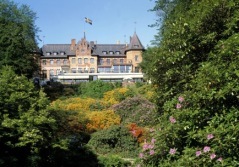 Do you need an extra night in Båstad? See "additional services" to the right. day 1, 3 and 4: SEK 975:-. 5 days, day 1 - 5. Maps and information will be sent to you after final payment, in good time before your arrival. See more "Book", booking/terms and conditions. The tour starts in Helsingborg and ends in Båstad. If you have your car parked in Helsingborg, it is easy to go back by train or bus when your cycle trip ends. 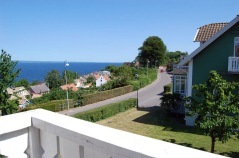 If you arrive by train, the train stations in both Helsingborg and Båstad are located near your overnight stay. 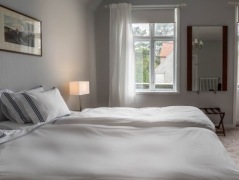 You can book additional nights before start in Helsingborg and after arrival in Båstad. You are constantly reminded that Kattegattleden is a route close to the ocean. Most of your overnight stays are close to the sea. Here another top class hotel, situated in a small village, with a wonderful view of ocean Kattegatt, day 1. 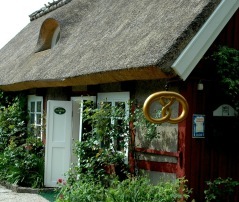 A lot of nice places for a Swedish "fika", coffee with cakes or sandwiches, along the way. Here Systrarna Lundgren, day 2. 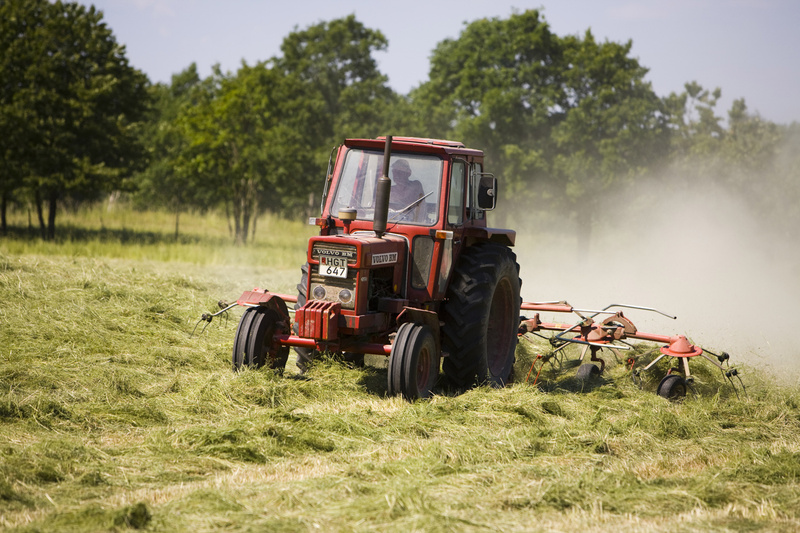 Photo: Region Skåne©Lena Birgersson. 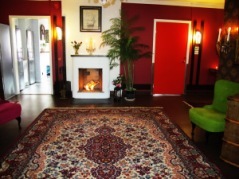 A newly renovated and cosy hostel near the beach will be your overnight stay day 2. When you finished your cycle tour for the day there are a lot of opportunities for a nice walk along the beach before dinner. Enjoy the accommodation at the accommodation in Torekov or Hovs Hallar, day 3. 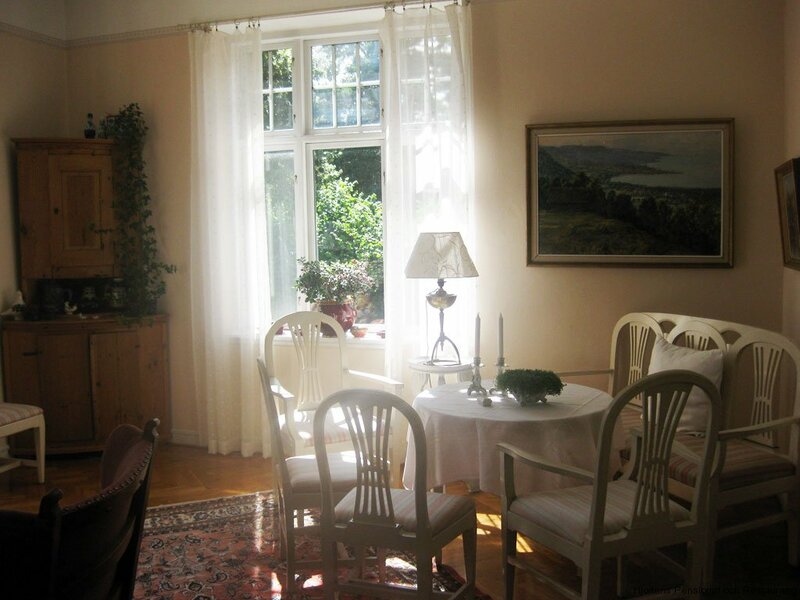 Day 4 you are staying the night in a nice, cosy pension in the small village, Båstad.